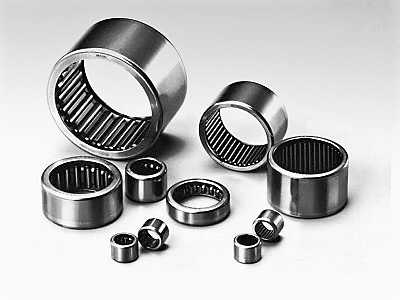 Needle Bearings introduction we offer all types of needle bearings. It's a process used in manufacturing where the outside shell is drawn over the needles to contain them and form what is called a drawn cup needle bearing. If your lookin for inch type we have J caged and B full complement construction inch needle bearing. NK Metric and HK Metric caged Also harden 52100 inner rings where it becomes impractical to meet the shaft raceway design requirements (hardness, case depth, surface finished) Inner rings for drawn cup bearings are designed to be loose transition fit on the shaft and should be clamped against a shoulder. Cam followers full complement (CR) with stud and track rollers full complement (Y) series.